"A whole day of eating right can go down in the swirl of cocktail -- with crazy-high calories and weakened willpower. So we've put a few drinks on a diet, starting with the Cuban mojito. Instead of using sugar, use a wooden pestle or a big spoon to gently crush cubes of watermelon with fresh mint leaves. 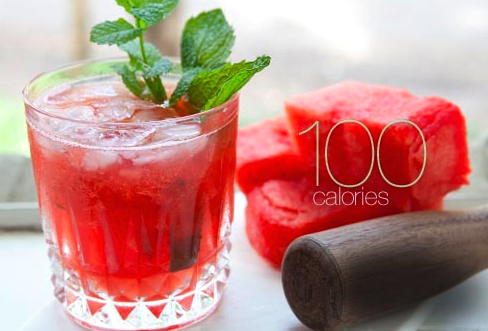 Add rum and sparkling water for a sweet mojito with half the usual calories."